The Polish region of Mazovia was an eastern borderland territory which also encompassed western-central parts of Prussia. As one of a series of small states of Western Polans it was probably formed in the ninth or tenth century from the West Slavic tribe of the Masovians. It also incorporated elements of a Western Baltic tribe called the Galindians who, for some two millennia, had occupied Masuria and the northern fringes of Mazovia. In previous centuries the well-equipped cavalry of the southern Baltic tribes, especially it must be assumed the Galindians and the neighbouring Yotvingians, served to prevent the Slavs from penetrating into Baltic lands, but by the eighth and ninth centuries the Slavs were becoming an increasingly powerful threat to them. This new Polan micro-state was quickly incorporated into the newly unified Polish state under Mieszko Piast. At this time in the tenth century, the Polish state encompassed territory similar to that of modern Poland. Until the arrival of the Teutonic Knights, the Prussian region of Chełmno (known by the Germans as Culmerland or Kulmerland) was a disputed part of Mazovia, a south-western tip of territory which was encircled by the River Vistula to the west and the Drewenz to the east. The period in which Polish King Boleslaw succeeds to the ducal throne is a confused one, but he is undisputed ruler of Poland in 992 (Greater Poland, Mazovia, Kuiavia, and parts of Pomerania, forming something close to the modern Polish territory). Poland is partitioned three ways, with Mieszko II probably in Great Poland, Mazovia, and Kuiavia. This possibly represent the first true division of Polish territory since its unification by 992. The Polish 'state' collapses into anarchy. The Pagan Rebellion involves many minor princes, none of whose names or territories are known, except for Mieclaw of Mazovia, who tries to establish his own independent state. In summer 1039, Kazimierz I Karol Odnowiciel, 'the Restorer', gains control of Greater Poland and Kuiavia, gaining with it the title of prince of Poland. The cup-bearer of Mieszko II. Kazimierz I gains control of Mazovia, uniting it with his growing Polish state. The fate of Mieclaw is unknown, but it is probable that he or his successor remains in place as a duke paying homage to the prince of Poland. Documented princes of Mazovia are patchy between here and 1138, making it unclear whether there is a recognised and permanent prince of the region or not. Co-ruler in Poland, in Greater Poland, Kuiavia & Mazovia. On 28 October 1138, Poland was again divided into several principalities: Great Poland, Mazovia, Kujavia, Silesia, and Sandomierz. Little Poland was reserved for the senior Polish prince who was nominal overlord for all the principalities until 1180. Further subdivisions occurred in Mazovia throughout the next two centuries which fractured the duchy into several tiny 'statelets' that were picked off by anyone with an eye to territorial expansion until, finally, the remainder was re-united towards the end of the fifteenth century, just before the duchy was reabsorbed back into Poland. 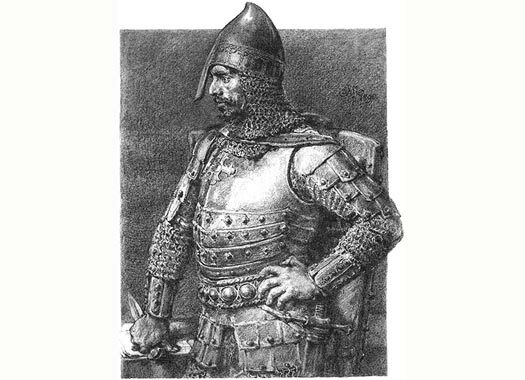 Boleslaw IV rebels against Wladyslaw II between 1141-1143, and again from 1144-1146, securing the position of senior prince of Poland for himself. Son of Boleslaw III of Poland. Under Prince Konrad, attempts to conquer the Prussians are intensified, with large battles and crusades taking place in 1209, 1219, 1220, and 1222. Prince Konrad invites the Teutonic Knights to settle in the Lower Vistula on the border with the Prussians, who have been ravaging Mazovia. This is a district that straddles the Vistula between the heartland of Poland and Prussia (and occasionally includes the Prussian region of Chełmno). The Order attempts to Christianise the pagan Prussians and form its own military-religious state (known as the Ordenstaat) which it governs for the next three hundred years. Prince Konrad opposes the prince of Krakow, Wladyslaw III, in 1229 and 1231, and then his successor, Henryk I, in 1233. Only in 1241 is he successful in becoming the senior ruler in Poland, and then only for two years. Subdivisions of Mazovia occurred under Konrad I and after his death. Plock formed the main division of the duchy under his son, Boleslaw I. The other division was Czersk. Son of Konrad I. First duke of Mazovia (in Plock). Widow of Ziemowit and regent. There is a period of uncertainty and division in Poland, during which Mazovia, having been united by Boleslaw II, is then divided between his sons. Rawa is created as a new subdivision. On 20 January 1320, all of Poland (except for Silesia, Pomerania, and Mazovia) is reunited into the Polish kingdom with the coronation of Wladyslaw. Mazovia remains divided. Waclaw I becomes a vassal of Bohemia. Boleslaw III becomes a vassal of Bohemia. Following his death his lands are sub-divided between the other Mazovian possessions and Poland proper. Brother of Kazimierz of Czersk. Duke of Mazovia. Ziemowit III manages to unite Mazovia by 1370, but then sub-divides it again. Ziemowit IV gains Plock, while Janusz I gains Czersk. Son of Ziemowit III. Died 1381. Ziemowit loses much of his territory to the Teutonic Knights, including Belz, Plonsk, Wizna, and Zawkrze. Son of Ziemowit IV. Duke of United Plock. Following the death of Kazimierz I, Belz is absorbed back into Plock. Most of Rawa is annexed by Plock. Son of Boleslaw IV. Duke of Plock. Abdicated. Son of Wladyslaw I. Duke of United Plock & Czersk. Brother. Joint-ruler of United Plock. Ziemowit's United Plock is reduced to Gostynin, while Kazimierz continues to rule a greater duchy of Plock. Regent and bishop of United Plock and of Czersk. Belz, Gostynin, and Rawa are annexed by Poland while Plock, Plonsk, Wizna and Zawkrze go to the duchy of Warsaw. Brother of Kazimierz III. Duke of Plock. The duchy is annexed by Poland following the death of Janusz. Subdivisions of Mazovia occurred under Konrad I and after his death. Czersk was in northern Poland. The other division at this time was in Plock. Czersk is probably merged into other Mazovian territories, but in 1310 it becomes a territory which is united with the duchy of Warsaw. Brother of Ziemowit II of Rawa? Duke of Czersk & Warsaw. Maria, sister of Andrei, is the heiress of Galicia-Lvov upon her brother's death. 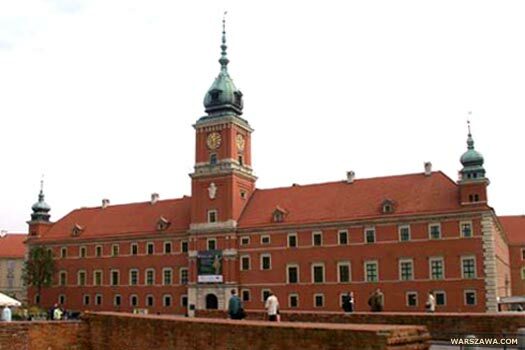 Already married to Trojden I of Mazovia, the duchy is drawn closer to the Polish crown and Trojden's son, Boleslaw, becomes its ruler when he is invited to ascend the throne of Halicz. Duke of Czersk & Warsaw. Czersk and Warsaw are merged into Plock by Ziemowit III / Siemowit III, but his territory is again divided after his death. Son of Ziemowit III of Plock. Son of Wladyslaw I. Gained Plock (1455). Regent and bishop of Plock and of Czersk. Following the death of Boleslaw V, the duchy is united under his brother to the remainder of Mazovia. Further subdivisions of Mazovia occurred after the reign of Boleslaw II following his reunification of the entire duchy. Rawa was to the south-east of Plock and to the south-west of Warsaw. Son of Boleslaw II of Plock. First duke of Rawa. Rawa is probably merged into other Mazovian territories. Margareth receives Gostynin as her dowry while the remainder of Rawa is annexed by Plock. Halicz, or Galicia, was acquired by Boleslaw Jerzy II after the previous ruling dynasty died out. Maria, heiress of Galicia-Lvov, was already married to Trojden I of Czersk, so the duchy had been drawn closer to the Polish crown. In 1323, the boyars invited Boleslaw to rule Galicia. He converted to Orthodoxy and assumed the name Yuri II, but eventually proved unpopular. Son of Trojden I of Czersk. Poisoned by the boyars. Following the death of Boleslaw, Halicz is ruled locally, before being partitioned between Poland and Lithuania. Belz was a short-lived division which existed only for the lifetime of its sole ruler. In 1382, it had been a part of Plock which was seized by the Teutonic Knights. Son of Ziemowit IV of Plock. As Poland began to annexe Mazovian territory, and the number of divisions was reduced, a single Mazovia began to re-emerge in the fifteenth century. The duchy of Czersk is united to the remainder of Mazovia following the death of Boleslaw V.
Mazovia is absorbed into Poland, bringing the duchy to an end. The Second Partition of Poland-Lithuania is carried out on 23 January. Great Poland and parts of Mazovia go to Prussia while Russia gains Podolia (which is attached to Ukraine), Volynia, and more of Lithuania. The Third Partition of Poland-Lithuania is enacted on 7 January. It removes both states entirely from the map. 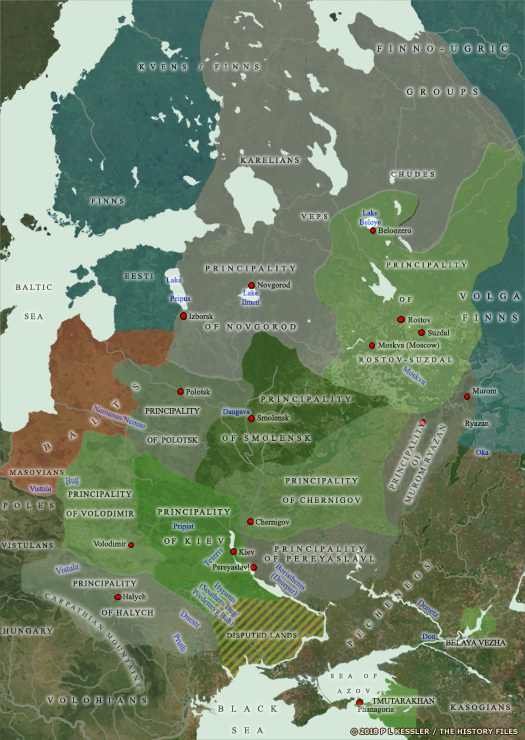 Russia grabs the rest of Lithuania and almost all of Belarus as well as terminating the duchy of Courland. Prussia takes the rest of Mazovia (as New East Prussia) and Warsaw, while Austria gains Krakow and Little Poland, which are added to Galicia & Lodomeria.